I agree!!! My wife and I will finish season 1 today and we pray (and demand) season 2 release soon! We have watched it in Spanish from Netflix Spain. Can you imagine how many people from many nations would like to watch the continuation? Just ended Episode 12 and we want moreee. Yes why takes us to the restaurant and not gerda us? Give us the season 2 PLEASE. Loved watching this!!! So creative and truly inspirational!!! 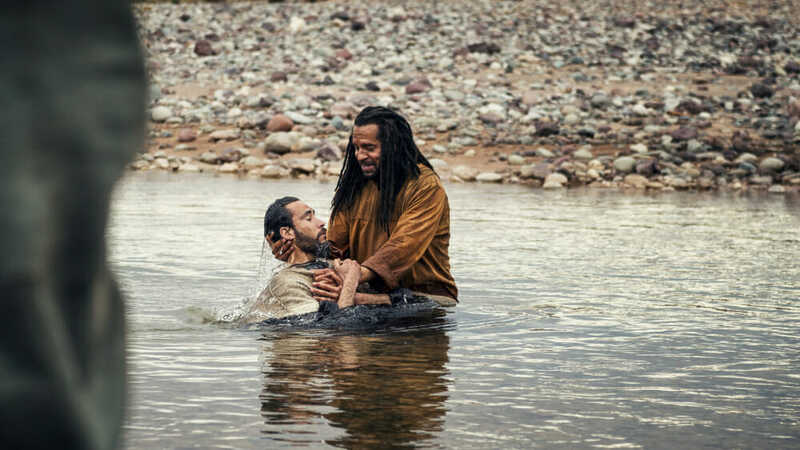 With all that was put into the writing, casting, filming, acting, etc.. must have cost dearly in time and expenses for many… I wish I had the ability to help with a season 2… God Bless You for bringing this part of the Bible to life. Yes I also just finished season 1 and would LOVE to see it continue. Me and my husband just finished it and we can’t believe that it ended just like that! We def need a season 2! Please Netflix! I just finished season 1 of AD to find out there’s no dragon 2 I am heartbroken I also demand bring back AD. Please bring back A.D. season 2. My husband and I just finished Season 1. Heart broken there’s no Season 2. I am so heart broken that their is no season 2 for this AD. We love to see the season 2.Looking forward to bring back AD soon. I feel exactly as the author feels. Please AD producers, fight and struggle to continue your amazing work. I am sure is a work of God! You are in our prayers. Just finished binge watching this with my husband, giving it top 5 stars!! Had my BIBLE close at hand for character reference…. ready to watch season 2; very disappointed, no season 2…Please, Please bring it back. Love your faith Roma Downey, and because Roma loves you – we love you too Mark Burnett…. Loving the love this show is getting. It gets the Bible! Loved watching this show. I am also disappointed there is not a season 2. PLEASE BRING IT BACK.. I pray to God that season 2,3, 4,5…….is made. This show inspires me to read the Bible and find out what happened. God is alive and unstoppable! Just finished watching this on Netflix but there’s no season 2. Horrified, it was wonderful. Please please make another series. Only just found out about this series 1 hence only just watched it. My Wife and I also just completed season one to discover no season two. Very heartbreaking. This series was one of great spiritual content. Our Church is called “Acts 29 Church unto God” as you stated we are the continuation of Acts. We also are praying for the release of season two and beyond until Jesus returns. Just finished on Netflix and had to google season 2. What a disappointment that it was ended! The show gives such great visual to the events so important to our history as Christians. And something finally worth watching. I can only think someone “important” or so many got offended that the show was stopped. It makes no sense why this inspiring depiction of history was halted. I loved watching A. D. Kingdom & Empire on Netflix. Like many of you who lauded this excellent TV series, I was also in search of season two. If I had to guess why season two was not created… perhaps season one was not profitable enough to justify a season two. Of course, that is simply a guess. Congratulations to the cast & crew for an outstanding performance. Please bring season 2 to Netflix… I just finished watching season 1.. I loved it and it touch my 💓 and soul … Jesus is love…. I just finished season one. It was fantastic. Am shocked and saddened to learn there is no Season 2. I would love to see the show continue into a second season!! I loved season one, it broke my heart when I found out that season 2 was canceled 🙁 Praying that it somehow makes a comeback!!!!!!! My husband and I just finished season 1 and loved it, so sad to see there is no season 2. I started watching this show one Saturday night and before I knew it it was 4am and I had to go to bed but didn’t want to because I wanted to keep watching more episodes.Once I watched the first episode I was hooked.The best show I have watched in a long time on NBC.There needs to be a season 2 you cant just leave us hanging like that.Its funny that The Walking Dead can show all of its gore and violence but we cant get another season of something more powerful and meaningful. I am lately interested about Jesus and the religion. Watched The Bible and after watched this show. I was so excited to search when the second season will start. But there won’t be the second season 🙁 How sad I am. It’s a great way to learn and understand the Bible and all it’s history. There is such a hunger for the word, and is a great way to get the word all over the word, It really did help when you go back and read the chapters to really get a better understanding than I ever had just trying to read it, they did an amazing job!!! Standing in agreement, we need more seasons!!! Oh Lord! Please. Season 2! I’m new to Netflix and this series is by far the best I’ve seen. Please give us Season 2! My wife and I just finished season 1. Technically this was my 2nd watching, I got through almost half of it and then decided that my wife must watch it so started back at the beginning with her. She got just as hooked as I did and it is a show all Christians should watch. The actors were superb and the stories awesome. Great job to the cast and writers. Netflix, please pick up this ball and run with it!!! Please make a season 2 of the bible and ad kingdom and empire. Wow, what a great series, please bring back A.D. for at the least season 2…always seems to be my luck, find a great show to have it cancelled…especially the content…..much needed. That was a horrible way to end a season.. Let alone… Not have a 2nd one. We all need season 2. Yes please , season 2 would be greatly appreciated. We must have season 2. Maybe it will be released like how Sherlock seasons got released every few years. But that’s just what I think might happen. Nevertheless, we need season 2. We were left hanging in season 1 ending after Peter is seen being captured by a Roman soldier. Probably this may be in the section of the Bible where Agrippa had Peter imprisoned and James executed. But, who knows, they may have changed the story a little bit in the show. Furthermore, I personally would have wanted to see more Paul if season 2 was made. So maybe we should petition for season 2. Its not even like Roma Downey and Mark Burnett gave up on making these biblical series. they’re even trying to make a end of time series. But, we all know we want AD SEASON 2. Waiting for the season2. just finished watching 1st season on netflix france. love this fresh point of view love the way the writers made it intertwined with complicated real life political issues !!! Pray that they bring back season two. I just finished watching season 1 and I was so sad to find out there is no season 2. Please bring back season 2, the story needs to continue. Found this article in hopes that there was talk of a season 2! My husband and I just watched all 12 episodes within a span of 3 days! We so love this shows; please bring it back—somebody! I am definitely one of those who would relish the opportunity to see more seasons of this series. 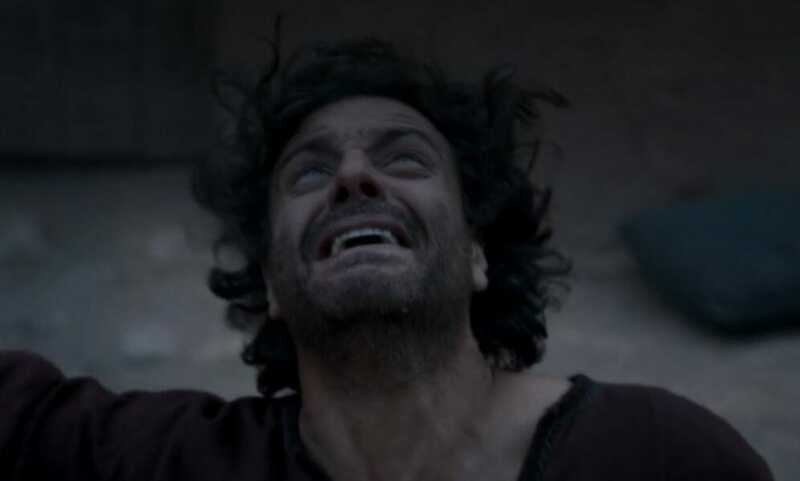 I loved “The Bible” adored “AD Kingdom and Empire” and am now disappointed that there is no Season 2 in sight. This series is a much needed light in a time of darkness. I plead with anyone who has the power to continue this series to PLEASE do so. We would forever be in your debt. SEASON TWO! Truly enjoyed watching A.D. Kingdom And Empire I pray and hope the story will continue with season two. Thanks to those who have helped make the bible come to life. Thank you Lord Jesus for your Word and truth continue to let your story be told in Jesus name amen. I have watched season 1 twice. PLEASE bring on season 2!!!!!!! Just finished Season 1 on Netflix…if NBC won’t permit Season 2, get Netflix to have a Season 2….please!!!!! Yes let’s get Netflix to bring it back!!! Yes please make season 2. My husband and my family ( including teens) enjoy a lot this first season and Mede us think a lot about the mercy of God and his miracles!!!!!! After watching the bible and now AD I’m really impressed. 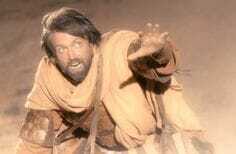 I haven’t seen a bible movie with such good writing and acting since “Jesus of Nazareth” from the 70s. Please bring this show back for season 2 you have a blockbuster on your hands. Netflix I’m looking at you! love jesus of Nazareth, too! The scene at Matthew’s house is part of my spiritual DNA. Let us not wait for Season 2 to happen. Let us all join forces and petition for it. With Jesus Christ on our side anything is possible. Please, any of u who would like to do something like this should reply. Me and My husband are blessed for this movie and for all the cast you did the good job !! !We praying for Season 2 God bless you all. Wow to cancel the next series is shocking , it’s the best biblical series on Netflix , Everyone’ is tired of watching silly reality shows we want more shows like this with meaning , lots of people need educating on the bible ..
We are avid Bible readers. This brought some of the events written in the Bible to life. Maybe not as exactly written yet understandable and enjoyable. We would very much appreciate a continuance of this series. Season 2 please! Please! Please! Yes!! Pleaseee start season 2! God Blessings frpm Sweden! I looved AD ! And have just finished watching it on Netflix. Am heartbroken there is no second series! It’s awesome!! Please bring out another totally!! I agree. I love every episode; was sad when it ended several years ago and watched the only season again on Netflix. It was so inspiring, i pray they will bring it back again. I’m sure the actors would change as they have moved on, but nevertheless it would be exciting to continue on. My Wife and I watch it all episodes of season 1. She found this page and to found out about that there will be no longer for season 2. Yeah , same we are also very sad about this. Maybe, is there any chance that we can make a petition to bring it back? How? Anyone knows where to start with and to raise this up. Thank you and God bless everyone. Bring back A.D. Kingdom and Empire! I also just completed binge watching A.D. Kingdom and Empire!!!! I most say I was completely immersed with the story. Although I do know some artistic freedoms were probably embellished. 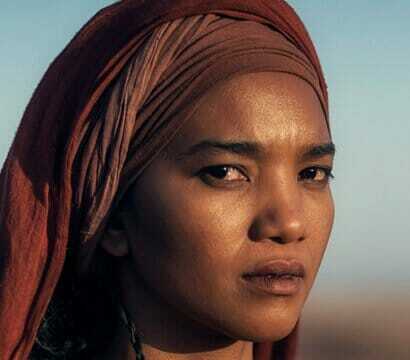 However it was extraordinarily well done from the casting to the biblical character’s portrayed. Every actor presented and authentic account during this time. It seems as though whenever a well crafted visual depiction of the BIBLE is made for TV viewing, someone always decides to cut it’s life short just as was done with Jesus. Much more could be said about that. I enjoyed watching the series also in recognition for the coming Holy Week. Prayerfully, Ms. Downey and Mr. Burnett will see these post and hear our request for a continuation of this awesome series. I binged watched A.D Kingdom and Empire on Netflix and just completed looking at 1st episode again in sadness as there is no Season 2. What an excellent show that brought it to life for us! All of the characters were amazing and endearing. Reassures that they had human weaknesses and faults just like us. Downey/Burnett productions, I do hope you continue as you all and your team were awesome! God bless you! Very well done!! I think the biblical account is exciting enough but do not mind some artistic embellishments. I wouldn’t normally say that, but I do agree…this show seems to “get it” and is a powerful tool for spreading the message of Jesus Christ. I am telling all my friends to watch this 1st season knowing it ends abruptly. It is still a great depiction of the early church and promotes thoughtful Bible study. I join the others asking for a season 2 but I am thrilled with the first one. I love this show and learning a lot too. Looking forward to Season 2, 3, 4…10 or so! This show inspires me to know more. Let us not lose hope!!! BRING BACK AD!!!! Season 2 please make it happen! I have just finished watching the series and was amazed at how the Bible came to life with the characters portrayed. Hope and pray that the Lord will work in the hearts of those concerned so the Gospel is spread through another season. Jesus is alive and seated at the right hand of the Father. May God bless my brothers and sisters in Christ out there and I look forward to our meeting one day. Keep the faith !! I just fineshed episode 12 today. Just watched the all episodes of season1 in on sitting. Absolutely loved it, would have cont’d watching season 2. But found out there was none, big let down, we are left hanging. Maybe Netflix could could be used to air season 2? Yes pleeese! Been waiting for season 2 for a while. Friends and family have watched season one along with me. It’s a MUST! It’s a series, a reality TV series… the difference to the other ones is that this one can change lives! We need this at such a time as this! Thank you in advance for whatever you can do to make this happen. I don’t have the power to do it or I would. I’m sure I’m not alone in this! Thanks again! Just finished season 1 and was very impressed. Great acting and Writing. PLEASE bring season 2, netflix…PLEASE!!! I love another epsiode of this great show. Thank God for Season 1. It brings me closer to Him. Praise be to God forever and ever! those critics ratings are dumb, i love season 1 and I want to continue to watch more!!! I DEMAND MORE!!!!! you cant just start season 1 and let it unfinish like that shame on you!!! Preciosa Serie !! … Sería Maravilloso ver una Segunda temporada !! I am home sick over Easter weekend so watched all of season 1. Very well done. Please do a season 2. We all know why the folks at NBC cancelled this. My husband and I just finished watching all twelve episodes of A.D. Kingdom and Empire and thought it was amazing! He isn’t a believer and to have him say it was one of the best series he’s watched and also that it was the best movie he’s seen covering Christ and early Christianity was remarkable in its self. Please, please continue this very excellent series! You never know when you might enlighten a nonbeliever and be the catalyst for a changed heart! Thank you for your effort to tell the story visually of the early church. Great work on behalf of all involved!! I watched not knowing that you all had decided not to do season 2. I was very upset when I found out. Neflex seems 2 season’s is about the length of your series, unless already old canned ones. I could complain and plead more but said my peace.